Greetings and well-met, we are the Hart-Thompson family and live in the Pacific Northwest of the USA. This is a family’s journey through chronic illness – there is Anna (I’m mostly the author right now, but that will grow, too) the BorreliaEtc patient who will be turning 38 on the 6th of December. I moved back in with my parents at 22 years old, just short of 16 years ago. Lorraine (me Mum) is my primary caregiver and fellow advocate. We run support groups every second Saturday in the Olympic Pharmacy and St. Anthony’s Prompt Care building in Gig Harbor, Washington. 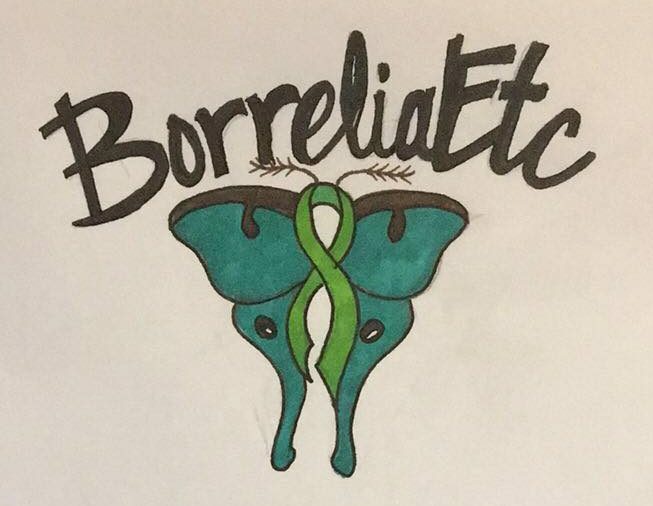 (Please contact us for more information: BorreliaEtc@gmail.com) Lorraine started our state’s first regular Lyme Awareness Rally which is held in May to correspond with other rallies across the country for “Lyme Awareness Month.” She started it 12 years ago! Matthew is my (step) dad and the only other member of the family who was born and raised on Long Island, New York State, like I was. He’s recently retired and very passionate about people being treated fairly. I also have an older brother Aaron (he was born in Vancouver, BC, Canada) who brings me Qigong practices to learn. (Visit http://www.chicenter.com if you’d like to to learn more.) If Aaron hears something serious has happened, like when my brain shut down last year (we still don’t know if I had a seizure, or what that was…) he drives straight down to show me special exercises that help with that specific trouble. By doing a “simple” breathing exercise (along with asking for Healing via Energy/Qi) where I envisioned breathing in a gentle mist and asked that mist to help my brain. ‘Please take the bad out,’ was the only thought that came to mind. After the third breath I was back in my body, engaging and talking. Matt and Aaron are my secondary caregivers, so if Lorraine has to go anywhere for more than an hour, I’m covered. All is looking very good to continue training Saathee Shadow to be a service dog. She’s already alerting me when my pulse or BP drops. Helping take off my socks and pants. Sits on my feet, forcing the tendons to relax. She’s not yet 8 months old! She’s not yet a “service dog in training” – she’s still a puppy! A very intuitive one. WA is one of those places we hear, “there’s no Lyme here!” constantly from most of the medical profession. And even though we have an astonishing number of “Lyme doctors” here, there are many local people who have been through ILADS treatment (after following the joke of an IDSA treatment) AND been to many Lyme doctors AND have searched out many treatment modalities… but we are still searching for our health. There are so many sites out there which explain the science of tick infections, give advocacy help and/or guidance, or talk about the politics and the different sides of the controversy. …and so many others! This was just a list off of the top of my head. We aren’t here to do that. We wanted to join a small but growing number of patients (and their families) that show the public what it’s like to live with vector-borne infections. What it’s like to have chronic illness interrupt not only a life, but an entire family’s life. Instead of admitting defeat, we have found out what what being a family of warriors is truly about. And we still learn, every single day. So, welcome to our page. This site is a work in progress, as all are, but this is still in its infancy. We want to grow in different ways, putting up videos and writings/blogs. We want to show people what it’s like to wake up each day and figure it out from there. Each and every day is so different, sometimes I wake up and can make some tea. Other days I wake up and run to the loo. Or option 3: not even making it out of bed. It’s going to be something of a bumpy ride, but we are glad to have you with us!